Check out the range of discounted Garden Supplies including Garden Watering Accessories, Garden Tools, Garden Accessories, Pest Control and Bird Seed. 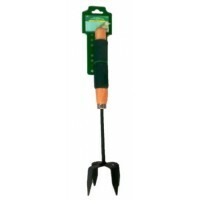 Buy Garden Supplies online at trade prices. ClearWater Miracle Cleaning Pad x1 Pcs Easily cleans dirt and tough stains. Just add water! - No detergents required. Pools Hot Tubs Boats Garden Furniture Kitchens Uses the highest quality materials to create a product that lasts longer and cleans better than similar, cheaper products ..
ClearWater Miracle Cleaning Pad x3 Pcs Easily cleans dirt and tough stains. Just add water! - No detergents required. Pools Hot Tubs Boats Garden Furniture Kitchens Uses the highest quality materials to create a product that lasts longer and cleans better than similar, cheaper products .. 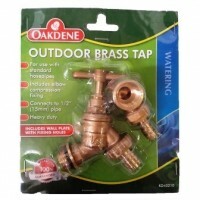 Outdoor Brass Tap for use with hosepipes. Includes elbow compression fitting. Connects to 1/2" (15mm) pipe. Heavy duty. 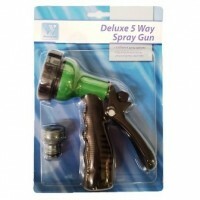 ..
Spray Gun with 5 option settings; shower, mist, jet, flat, cone. 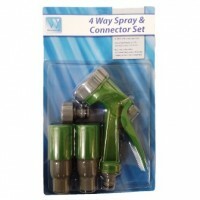 ..
Spray Gun with 4 option settings; shower, mist, flat, cone pls a set of connectors. 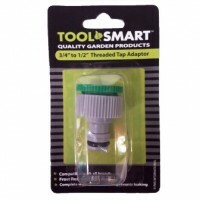 ..
Theaded Tap Adaptor fits 1/2" and 3/4" threaded taps, connects to hose female connector. Frost and shatter resistant. .. Hose Connector connects to 3/8" hose, fits standard male connnectors. Frost and shatter resistant. 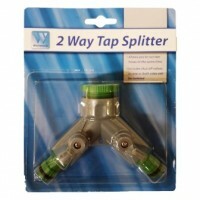 ..
2 Way Tap Splitter with adapter allows you to run 2 hoses at the same time. Includes shut off valves on both sides. 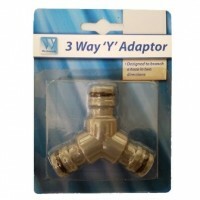 ..
3 Way Hose Adaptor designed to branch a hose in 2 directions. .. 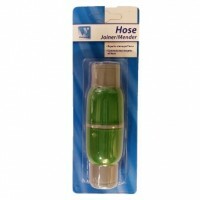 Hose Joiner repairs/joins 2 lengths of hose. ..
Garden Sprinkler with multiple settings. 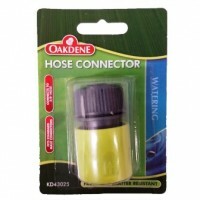 Ideal for watering large areas, compatible with all hose locking connector brands. 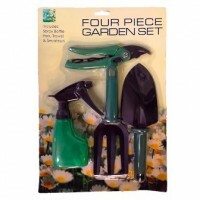 ..
4 Piece Garden Set including Secateurs, Fork, Trowel and Spray Bottle. 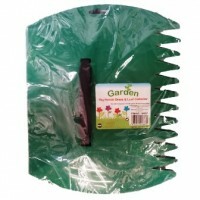 ..
2 Large Pastic 'Hands' with straps to easily collect grass and leaves. Use serrated edge for leaves, use straight edge on paths and driveways. 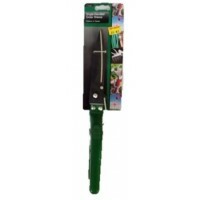 ..
Large Garden Pruning Cutter with telescopic handle, high leverage, high carbon steel 5mm thick blade, PVC grip. .. 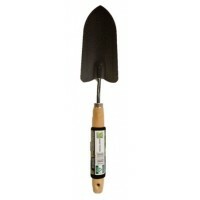 Wooden handled Hand Trowel with foam grip. .. 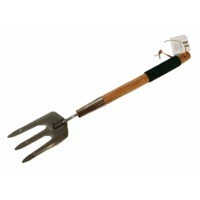 Wooden handled Hand Fork with foam grip. .. 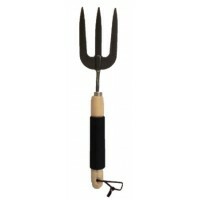 Wooden long handled Hand Fork with foam grip. .. Wooden handled Twist Fork for weeding. .. 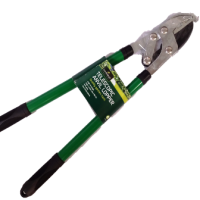 Single Hand Grass and Pruning Shears 5" Blade. 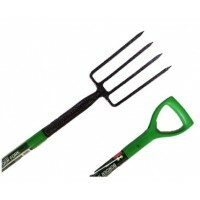 ..
92cm long Gardening Fork with heat treated carbon steel head and plastic shaft. 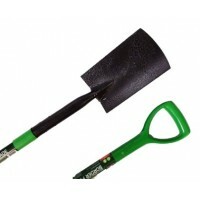 ..
92cm long Gardening spade with heat treated carbon steel head and plastic shaft. 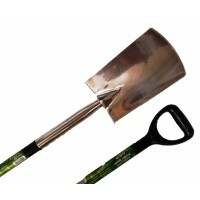 ..
1m long Stainless Steel Digging Spade with plastic handle. ..
1.25mm x 10m. 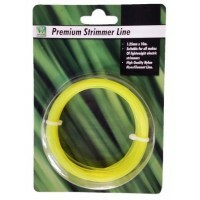 High quality monofilament line suitable for all makes of lightweight electric strimmers. 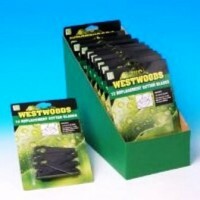 ..
12 replacement Cutter Blades suitable for Qualcast, Flymo and most other makes of lawn mowers. 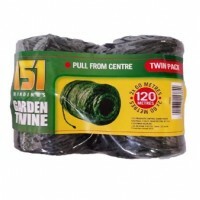 ..
2 rolls of 60m grren jute garden twine. Great for all uses around the garden. ..
3 piece galvanized wire with plastic coating. 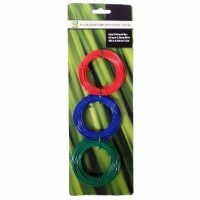 3 colours Red 0.9mm x 6m, Green 0.9mm x 9m, Blue 09.mm x 12m. 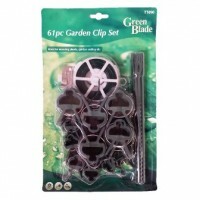 ..
61 Piece Garden Clip Set, ideal for securing plants and garden netting. Includes wire, spikes and various size clips. 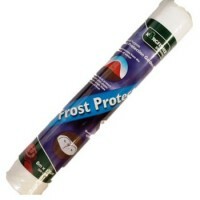 ..
8m x 1.5m general purpose Frost Protection Fleece provides total protection from the harshness of winter, retaining heat to protect and shield plants, seeds and crops from the effects of frost. 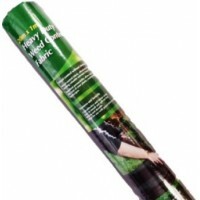 ..
20m x 1m Weed Control Fabric (100gsm) for weed control without chenicals. Effectively helps block weeds from growing. 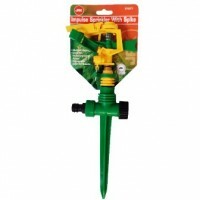 Excellent permeability allows water,air and nutrients to get to the roots of your plants. ..